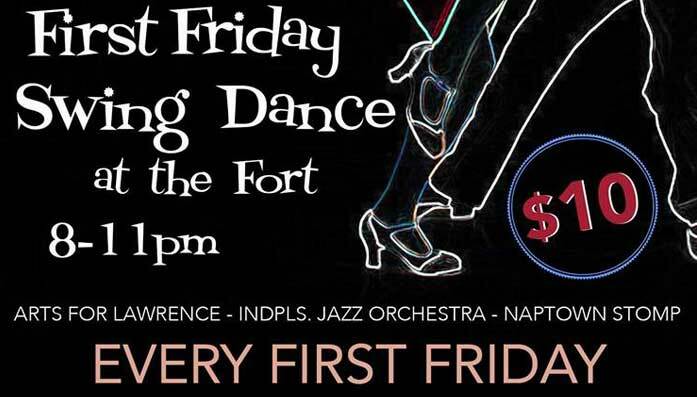 First Friday Swing Dance at the Fort! Join us for 3 exciting hours of professional Swing Dance music! Dancers of all ages will love the LARGE, wooden dance floor, ample seating for all attendees, FREE, easy, and close parking, concessions offered. World-class Swing Big Band music presented by the nationally-recognized Indianapolis Jazz Orchestra! Co-hosted and dance lessons by Naptown Stomp! Attendance is limited to 200 guests for this event, so ordering tickets in advance is suggested, but not mandatory.